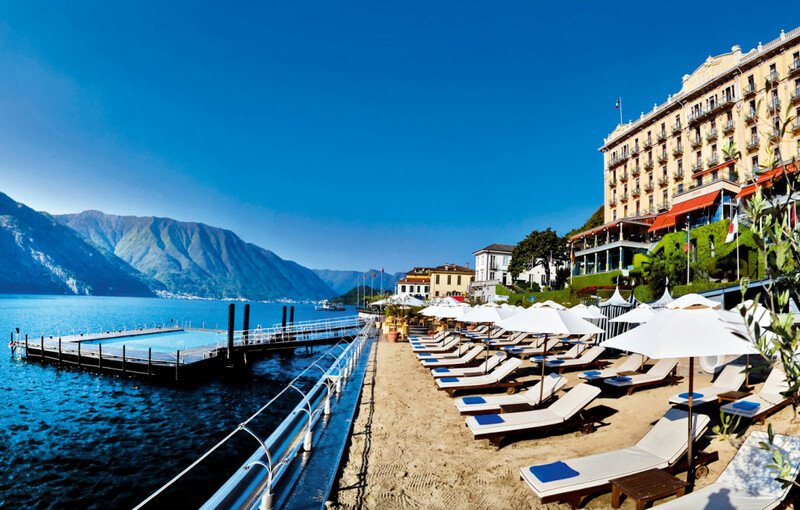 Located on the shores of Lake Como, Grand Hotel Tremezzo, a member of Preferred Hotels & Resorts, features 92 luxurious rooms and suites. Its breathtaking lakeside views of Bellagio keep tourists from all over the world coming back year after year to pay homage to one of the most prestigious hotels in all of Italy. With the stunning Grigne Mountains in the background it is easy to get lost gazing at the landscapes that seem to go on forever. Many famous celebrities have called Como their home over the years and it is for good reason. 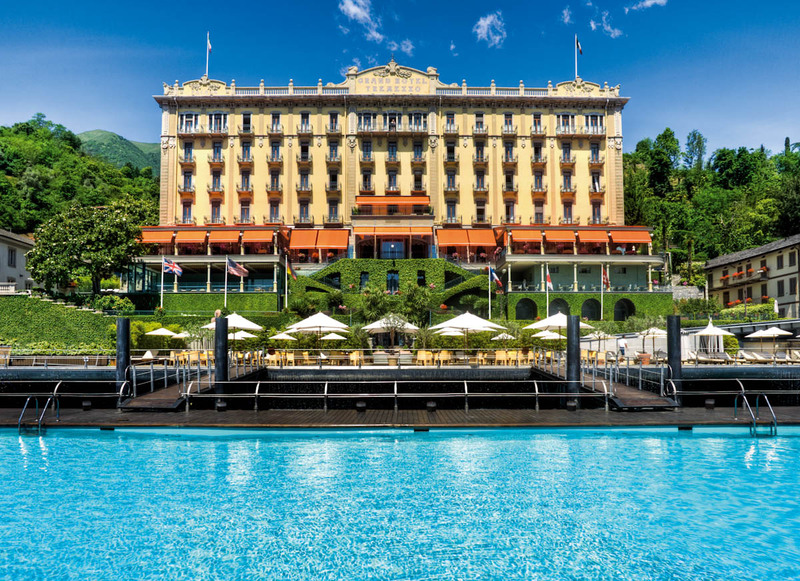 Originally constructed in 1910, the hotel is a pure display of legendary Italian design and décor giving its guests everything they could ever desire from this iconic lakeside hotel. Recently going through a three year upgrade the hotel renovated 30 of the Lake view Prestige rooms and a new signature Historic Suite Aurelia. As you stand on your balcony to take in the astounding water views all your worldly problems seem to disappear. Inside your room you revel in the custom furniture created by local artisans using the finest fabrics from the region. The hotel’s personal touch is evident throughout the local handcrafted design blending a feel of royalty at the same time offering pure comfort to its guests. After taking in the magnificent views coupled with lakeside strolls, guests can enjoy one the hotel’s five restaurants to enjoy the award-winning Italian cuisine of culinary genius Gualtiero Marchesi, one of Italy’s most celebrated Chefs. With the aid of Executive Chef Osvaldo Presazzi, Chef Marchesi is blowing the minds of guests and locals alike at La Terrazza Restaurant with dishes such as his world-renowned “Risotto con Foglia d’oro,” or Saffron Risotto topped with a Pure Gold Leaf. There is something very special about sitting lakeside enjoying an authentic Italian meal from one of the best chefs in the world that words have a hard time describing. What would a luxury vacation be without a visit to the spa to truly escape all your stress and worries away? The hotel’s recent facelift also includes the upgraded T Spa in collaboration with ESPA world renowned beauty products. The newly renovated T Spa Suite provides the ultimate intimacy for a couple’s massage. Outfitted with a relaxing whirlpool tub, sauna and steam bath with contrast shower and cascade jets, the T Spa Suite is a haven of relaxation. Grab a glass of wine and have a swim in the T spa infinity pool as you take in the panoramic views of Lake Como as far as the eyes can see. If you choose to swim in the lake, the Grand Tremezzo offers something that is rarely seen in this world, a floating pool resting on the lake’s surface. 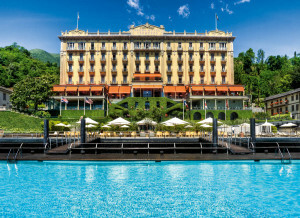 A crystal-clear swimming pool set in the blue of the lake, for a sun-bathing experience you will never forget. Discover a world of temptations utilizing all the amenities the hotel has to offer. 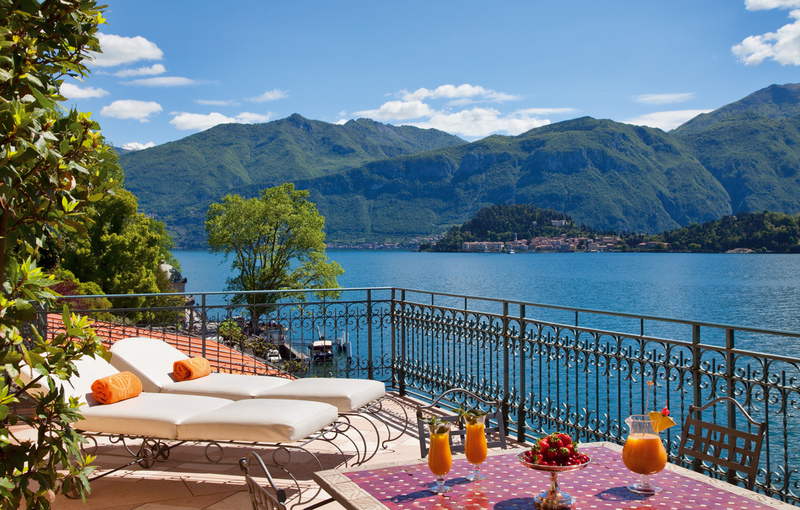 Whether you take a hike to the highest point behind the hotel to find their signature mascot bear, play a tennis match or sip cocktails lakeside, the Grand Tremezzo has everything your heart could ever desire for the perfect Italian escape! This entry was posted in Destinations, Editor Picks, Europe and tagged grand tremezzo, italian riviera, italy, lago di como, lake como.